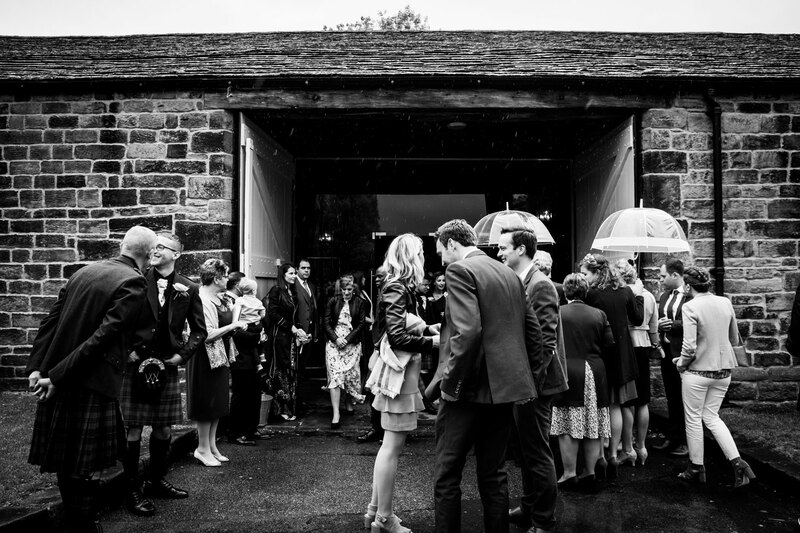 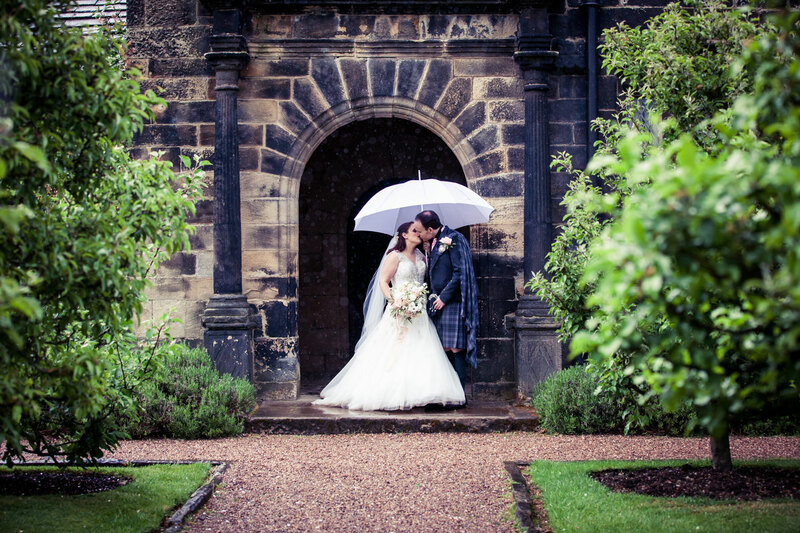 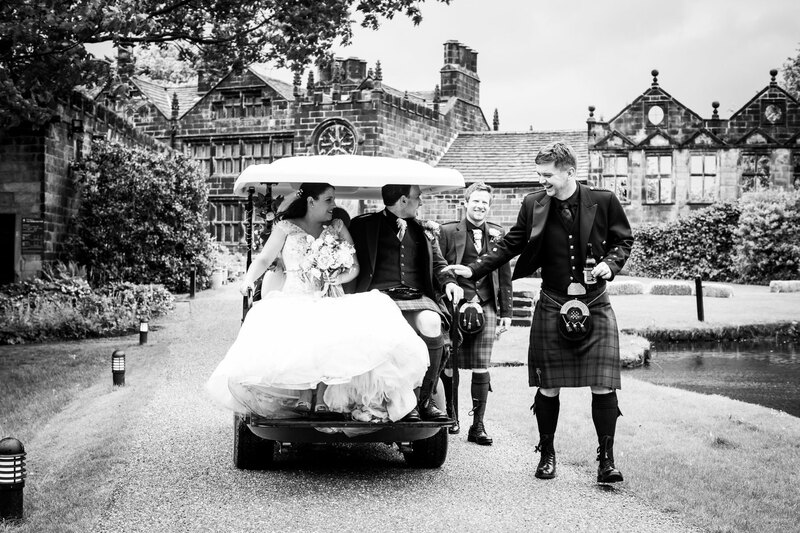 It was the rainiest of rainy Spring Bank Holiday Saturdays for Charlotte & Ross’ wedding day at East Riddlesden Hall. 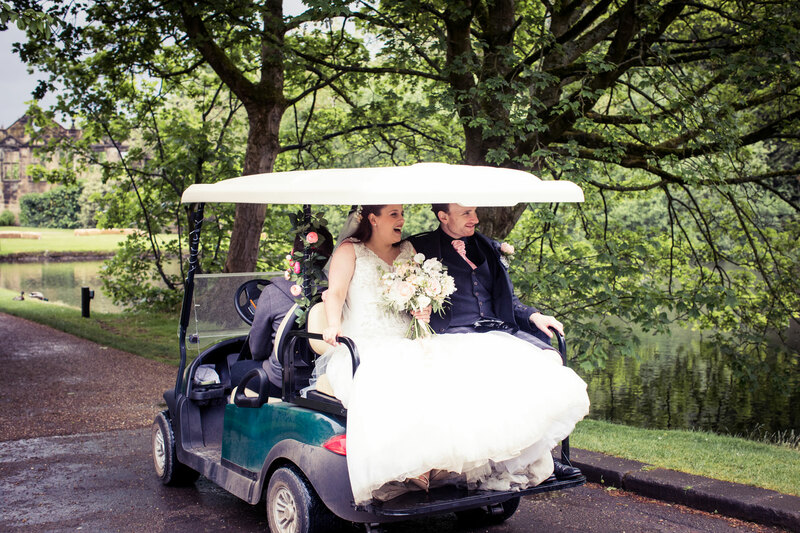 But……this absolutely did not dampen their day one bit! 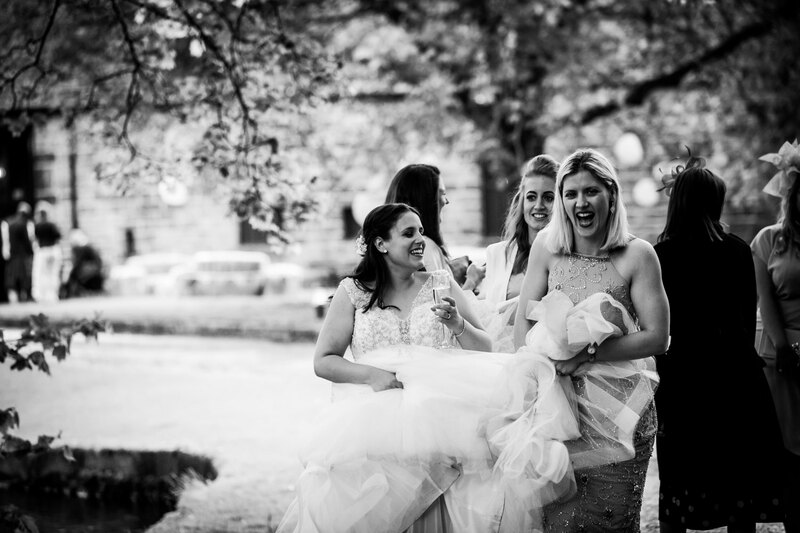 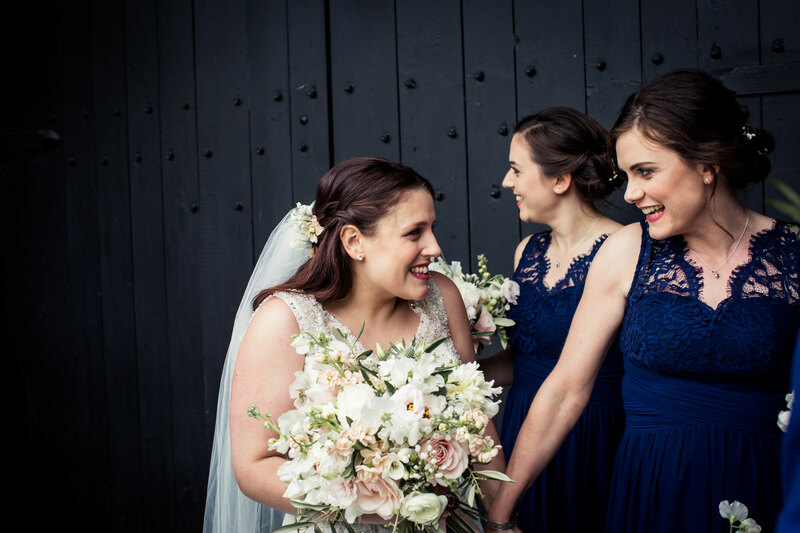 It was such a beautiful day full of emotion and I don’t think that Charlotte stopped smiling throughout! 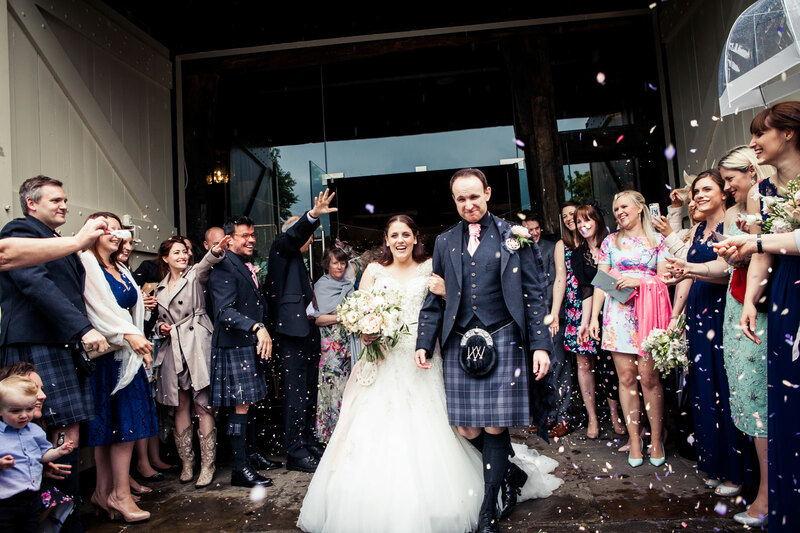 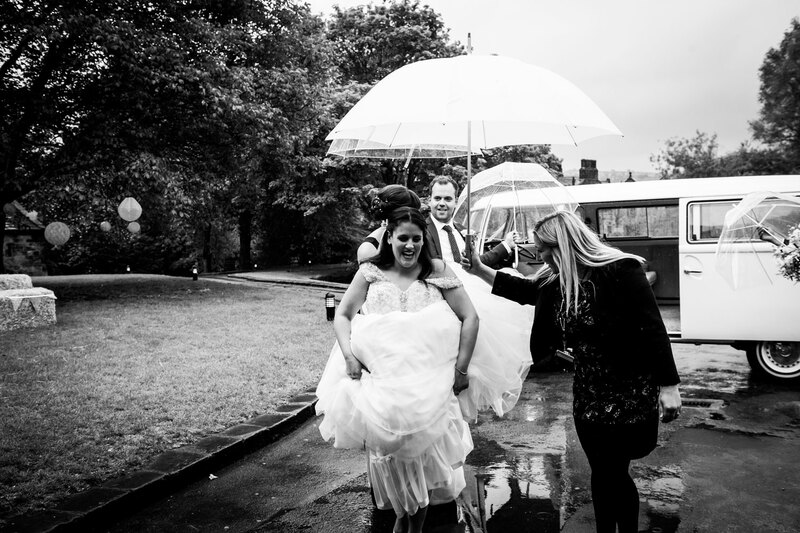 The bottom of her dress was soaked, and yet she was determined not to let the weather spoil this very special day. 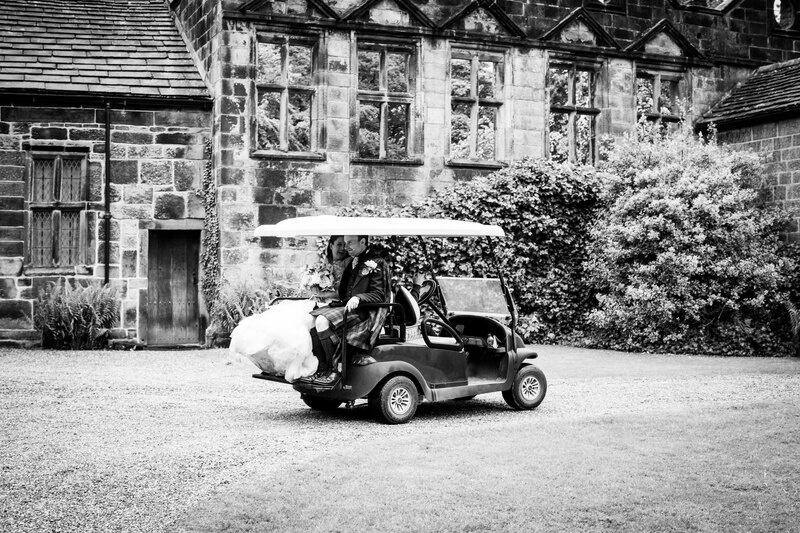 Weddings at East Riddlesden Hall are really quite unique. 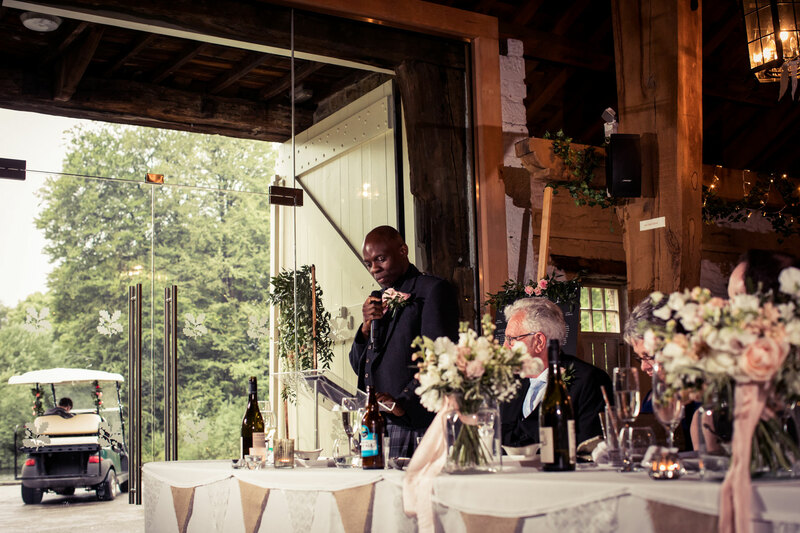 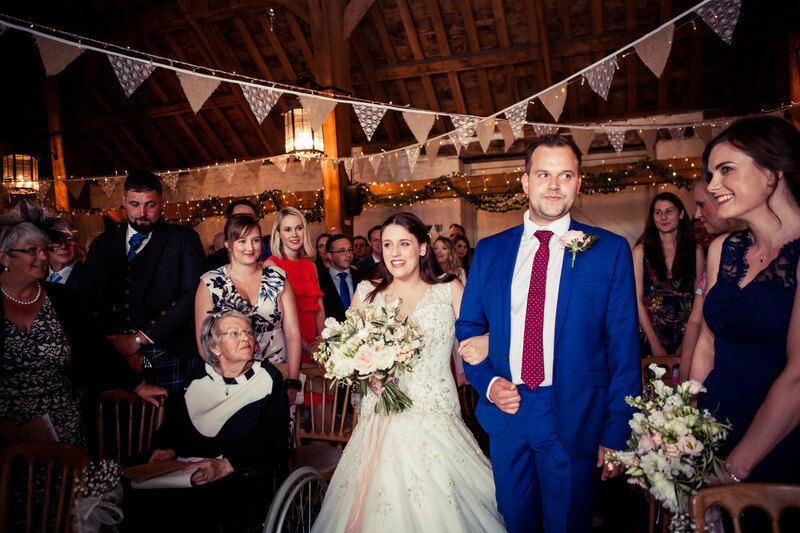 The stunning barn is seeped in history and sits majestically opposite the lake which overlooks the 17th Century Manor House in all its glory. 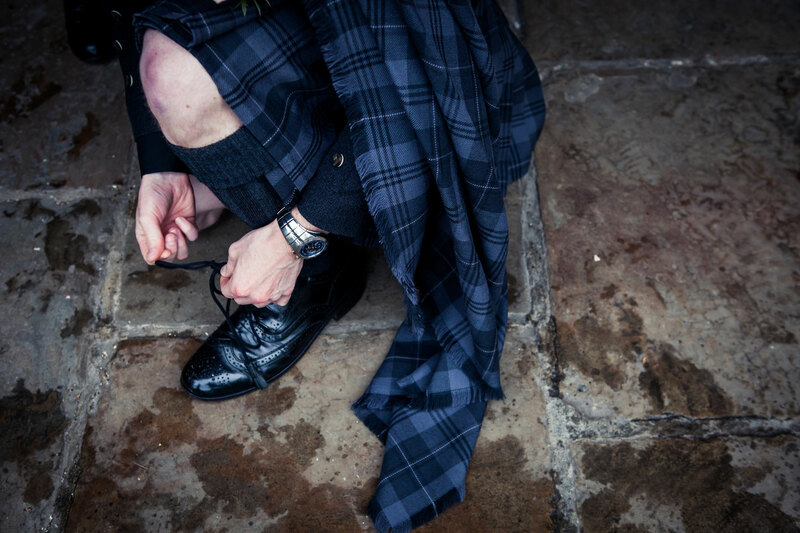 I am from Riddlesden. 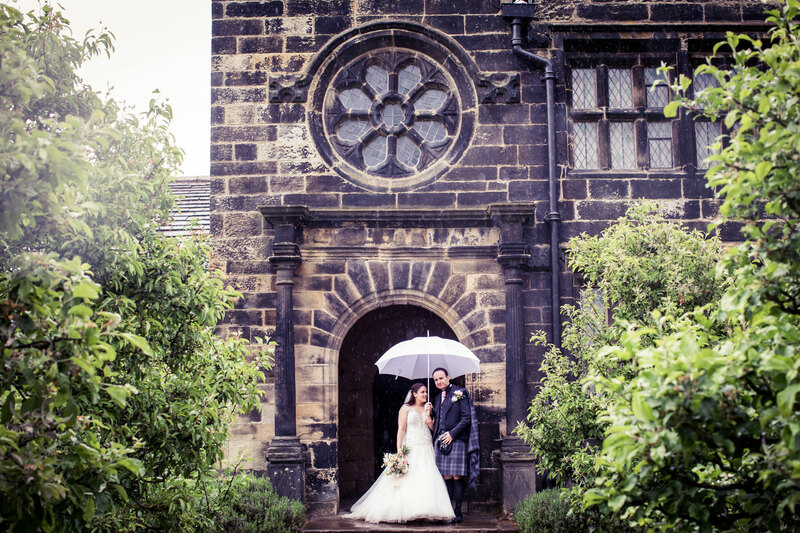 I grew up spending time at East Riddlesden Hall and I actually worked there too so it’s a place that I know so well and it’s very special to me and where I feel very much at home. 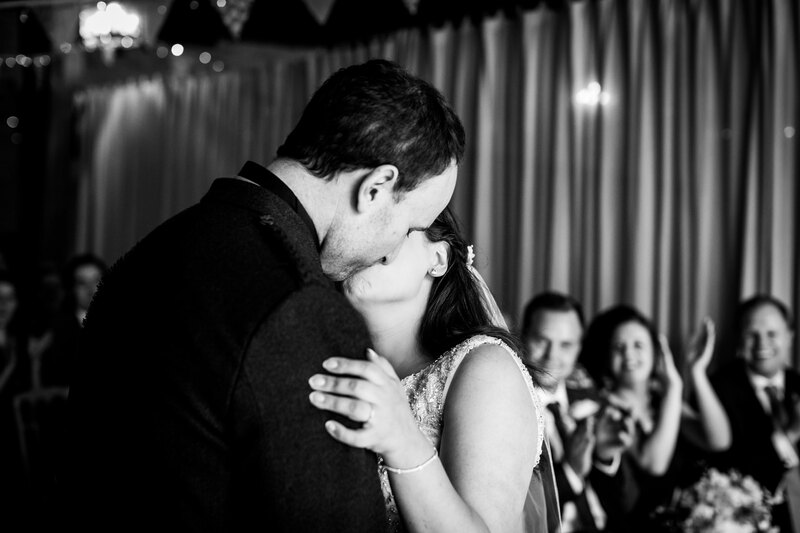 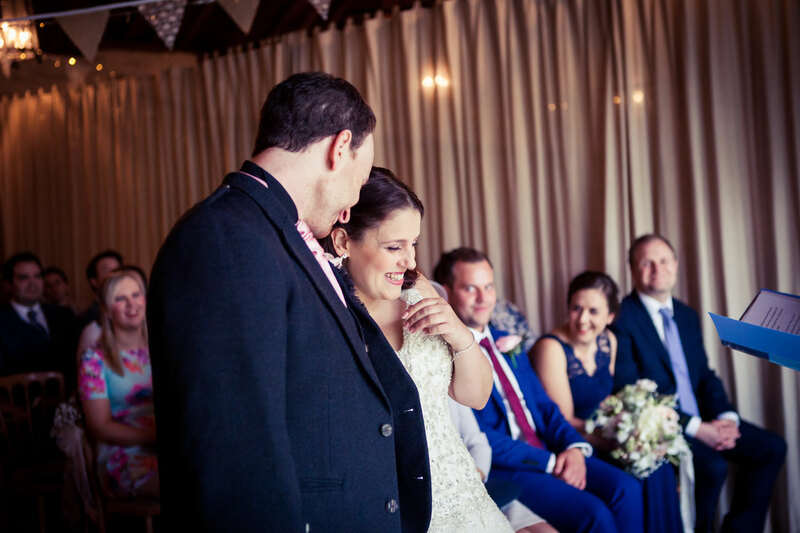 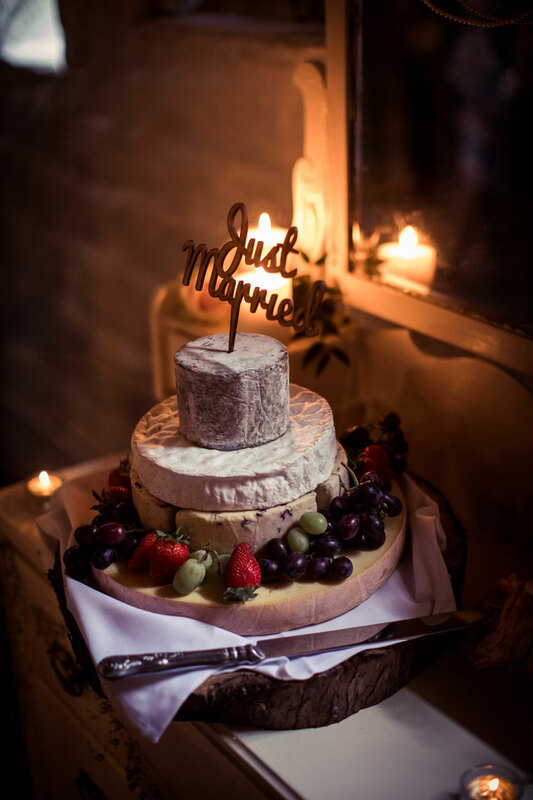 So when Charlotte and Ross asked me to be their wedding photographer, I was so very chuffed! 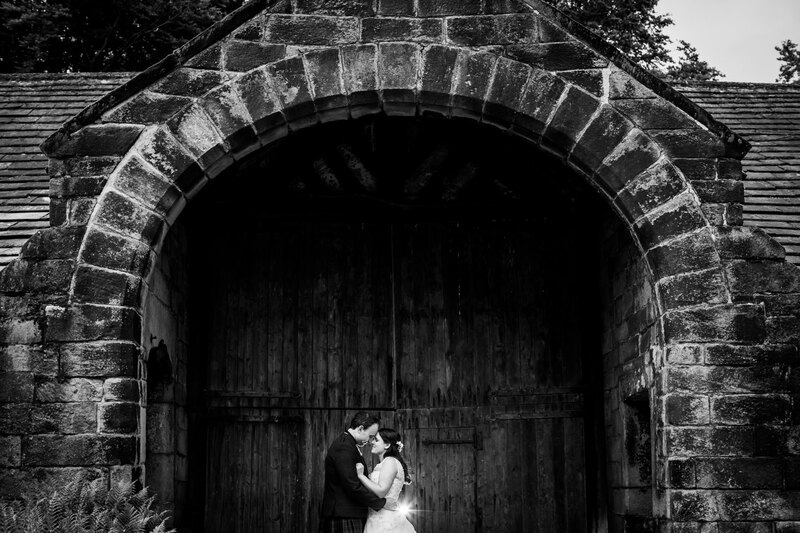 Plus I’m based just down the road from this fantastic National Trust wedding venue so being on the doorstep is an extra bonus! 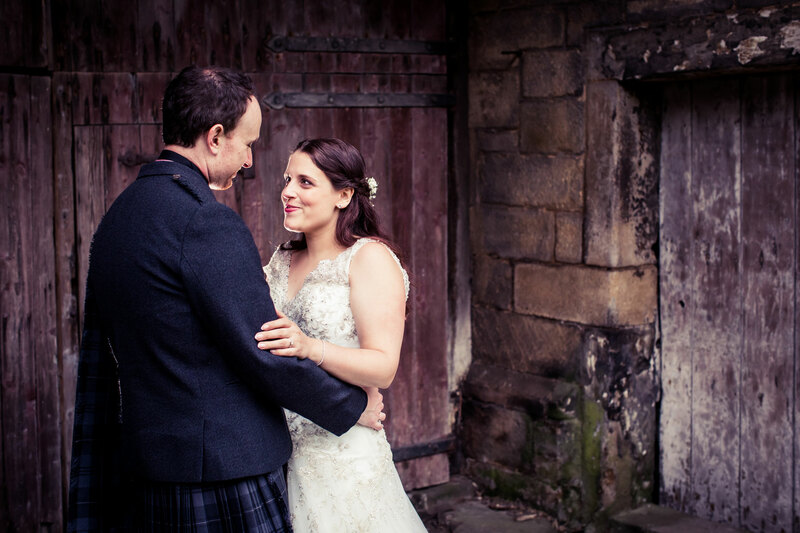 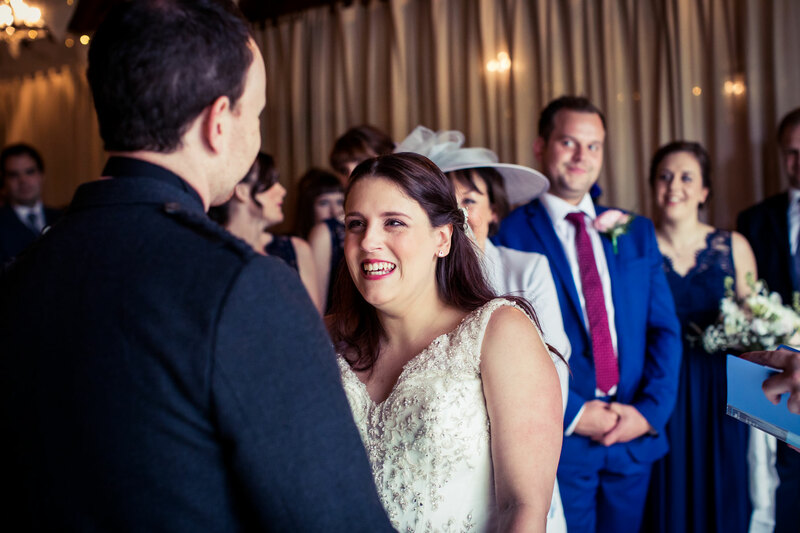 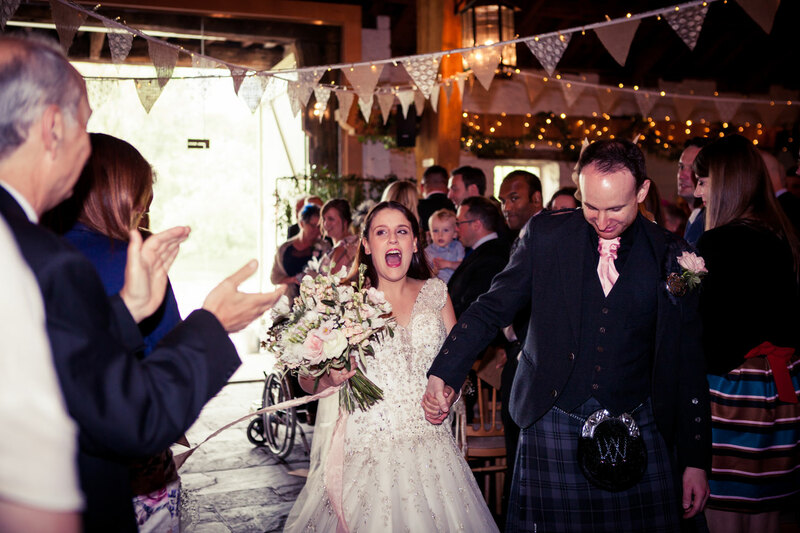 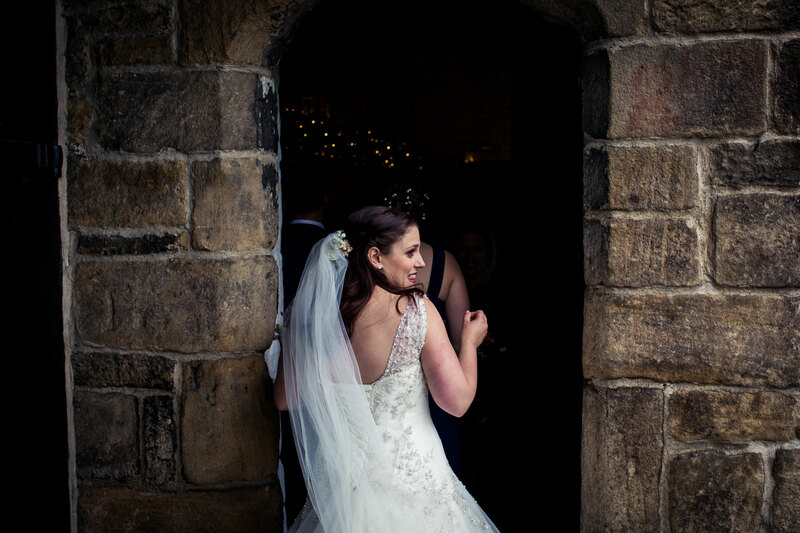 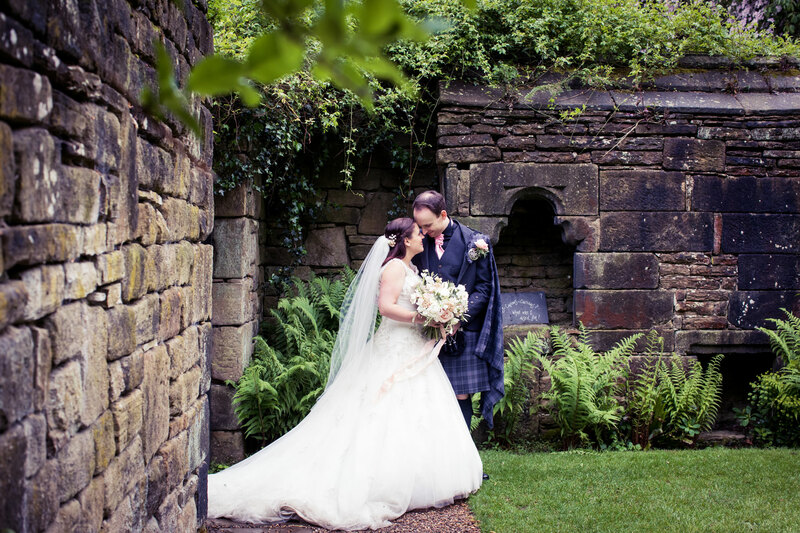 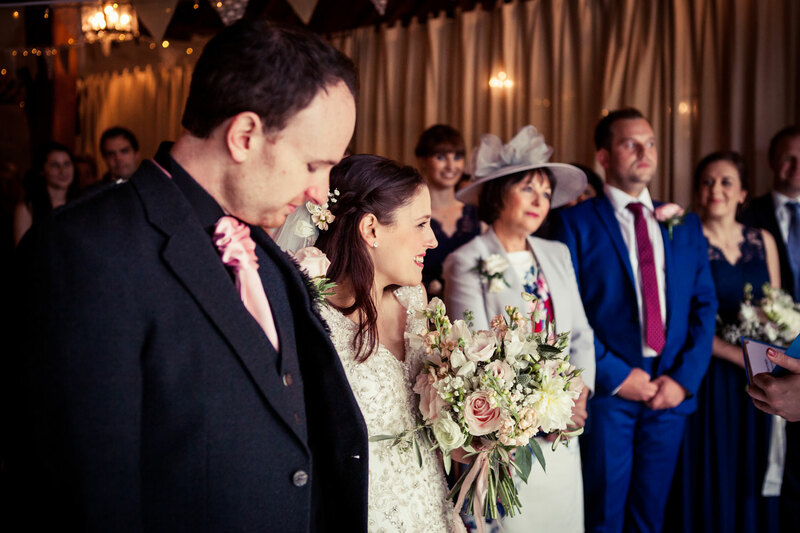 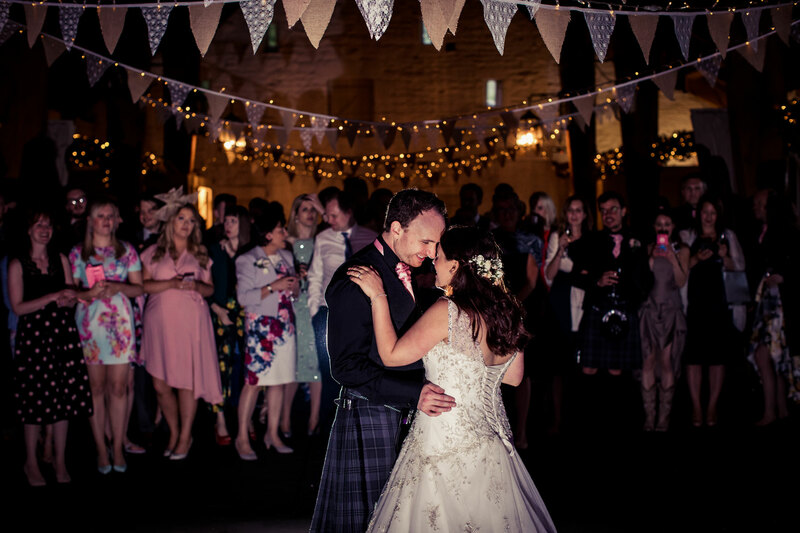 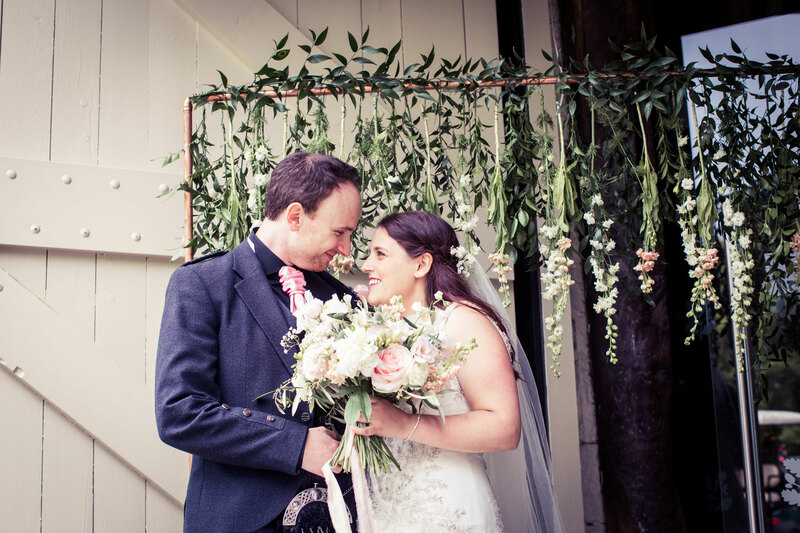 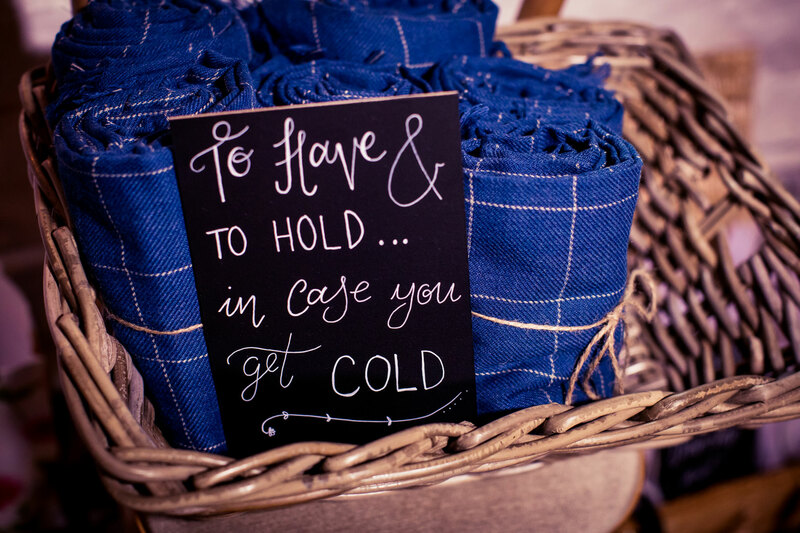 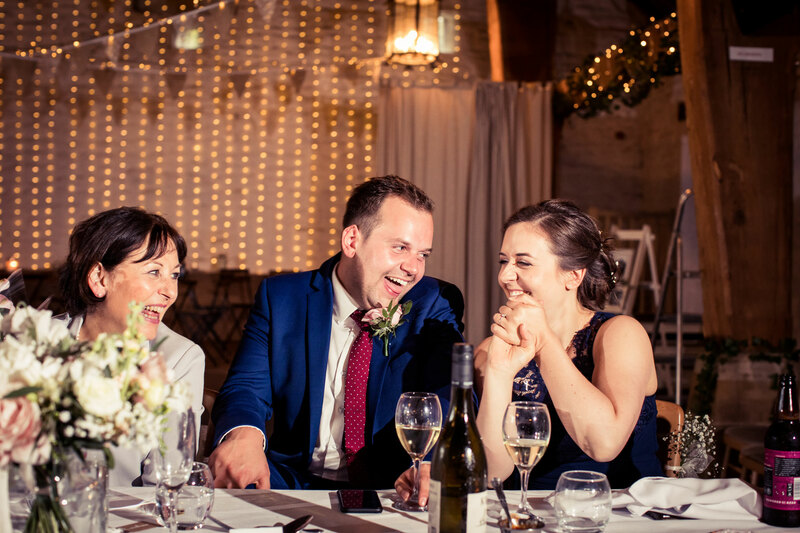 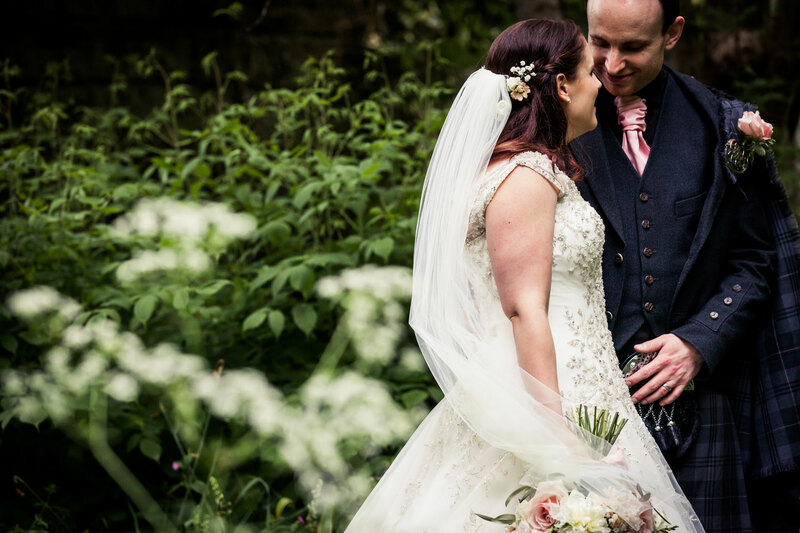 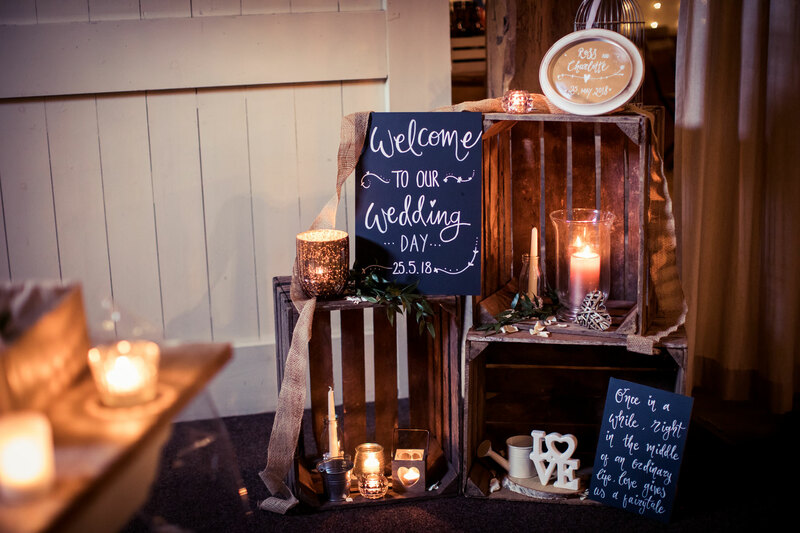 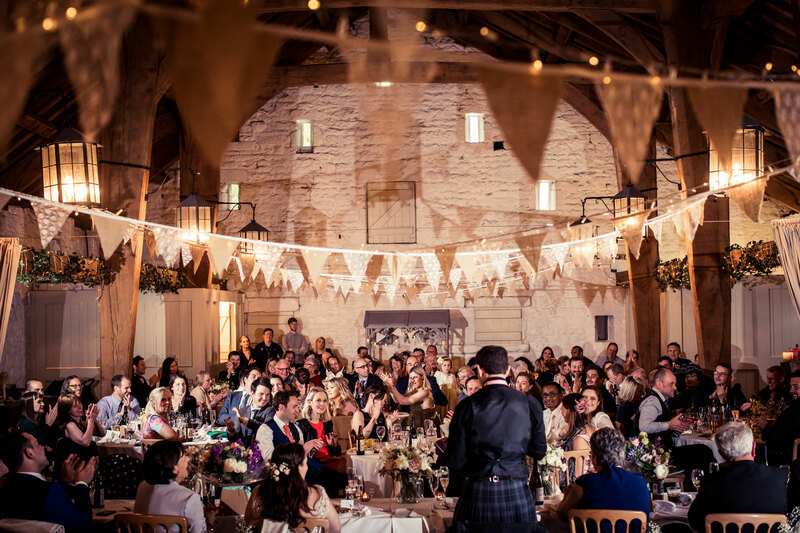 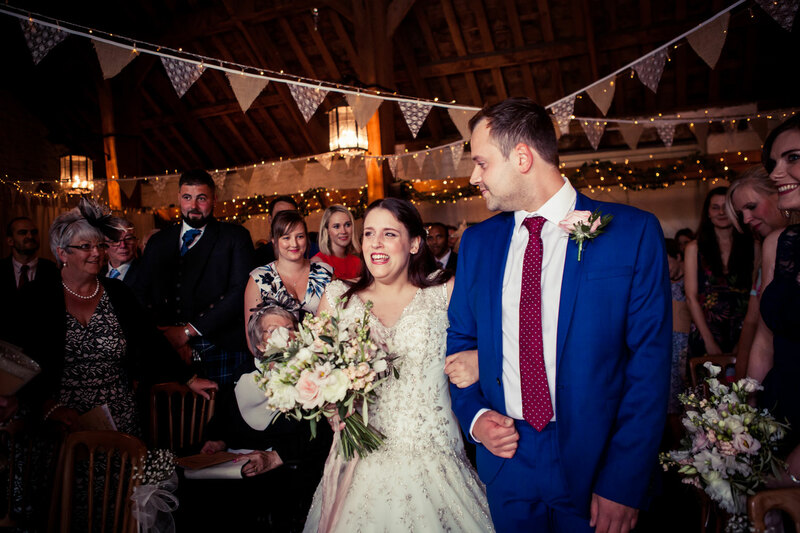 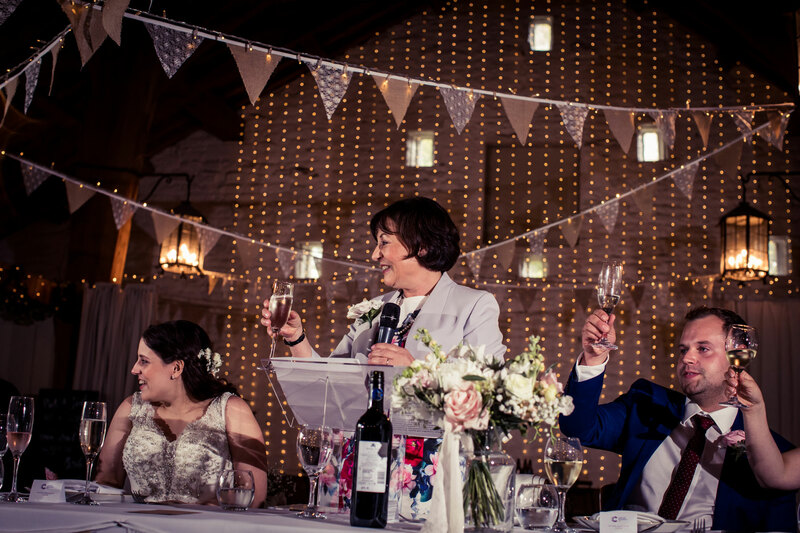 Charlotte and Ross had added so many personal touches to their West Yorkshire wedding day and really made the most of the rustic setting of the barn. 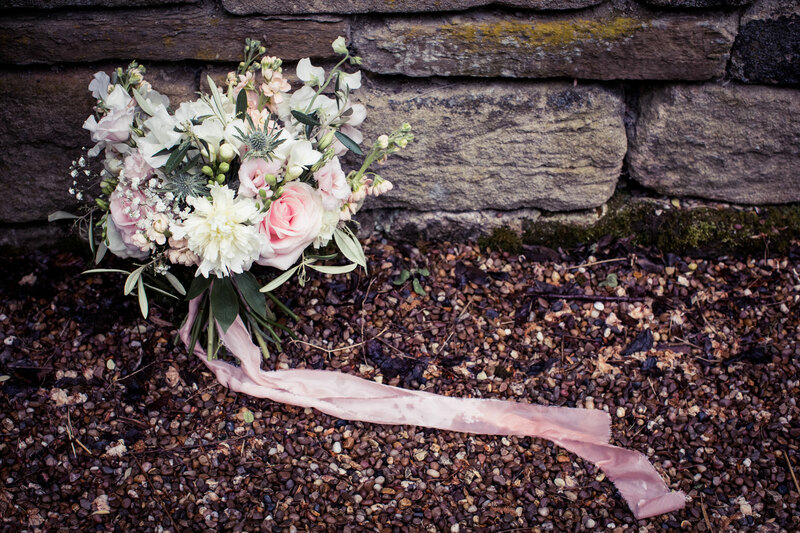 With countryside blooms by the talented florist The Petal Studio and styling and planning from the lovely Kat Cocksedge with of course the very efficient and super organised wedding team at East Riddlesden Hall, this was such a great wedding to play a part in. 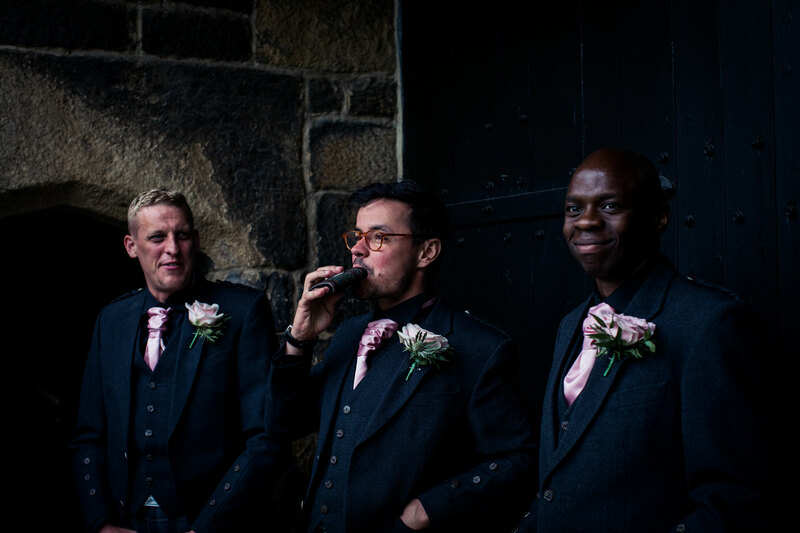 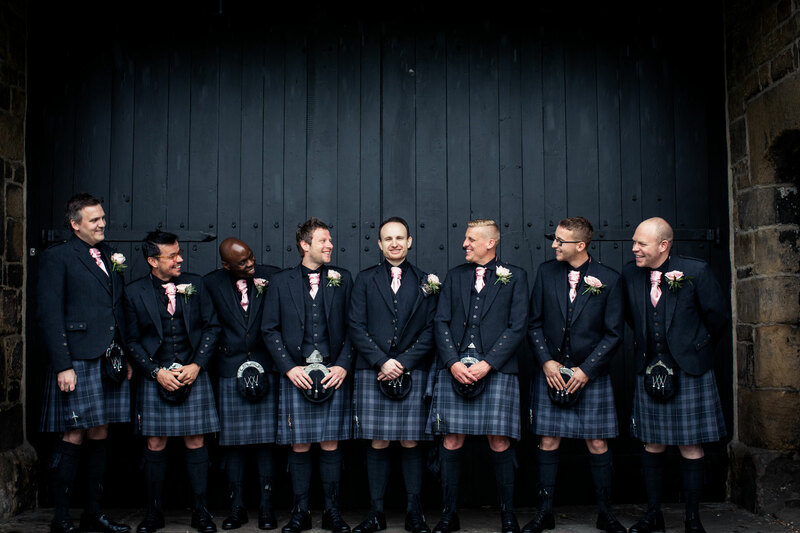 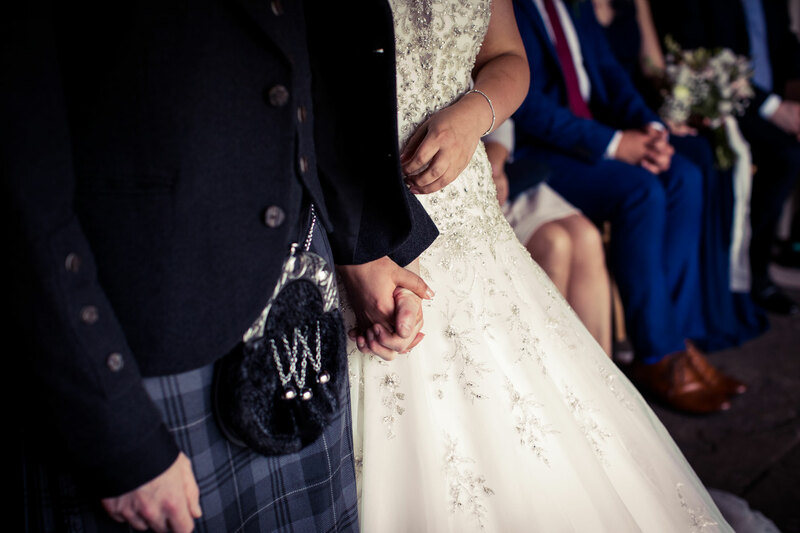 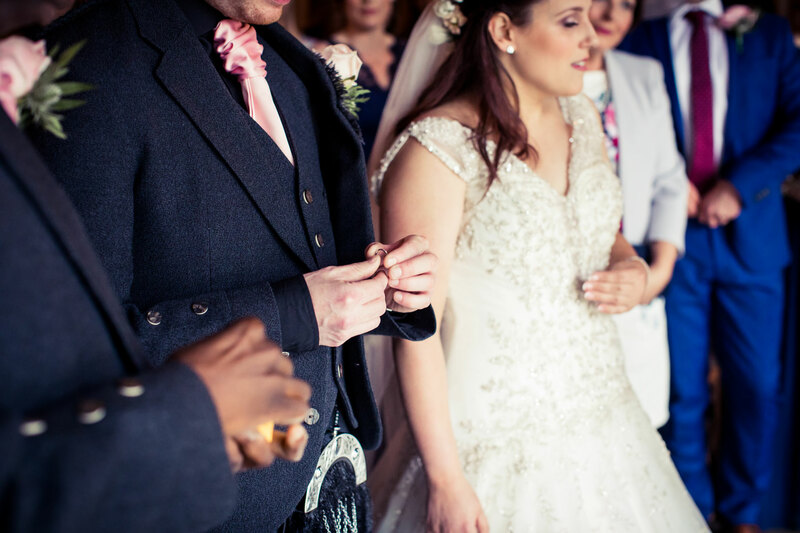 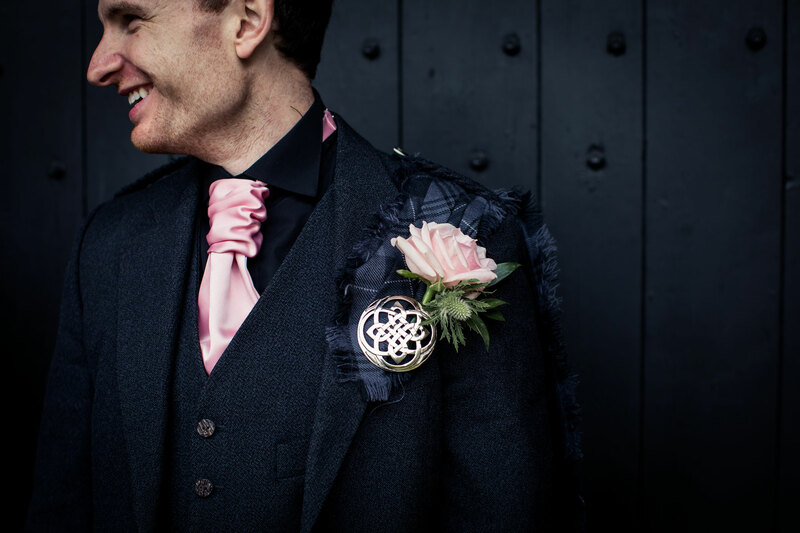 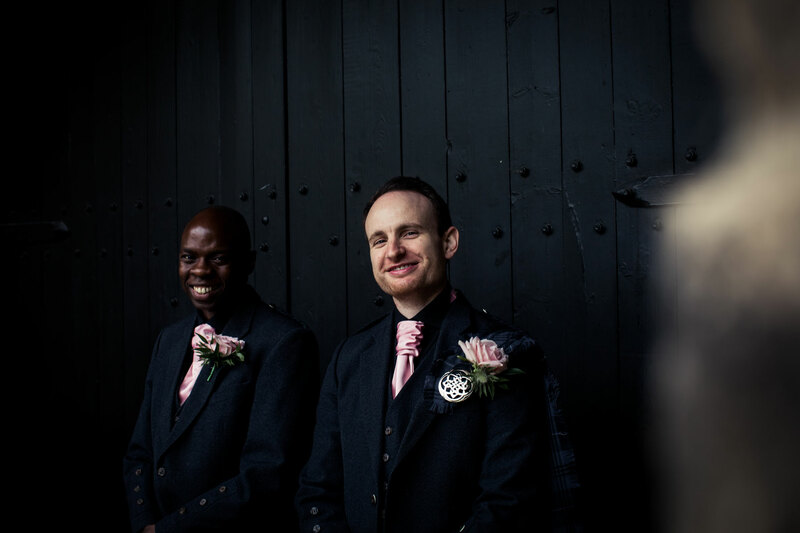 You can probably tell that there was a Scottish influence too from lovely Ross, who’s groomsmen wore their traditional kilts rather splendidly and were complimented by the rich dark blue of the bridesmaid dresses. 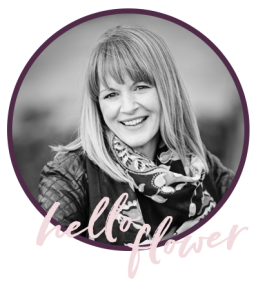 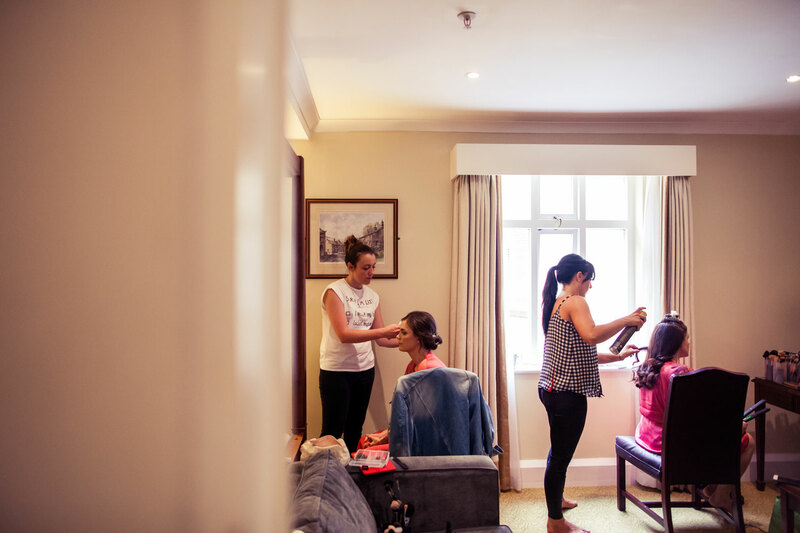 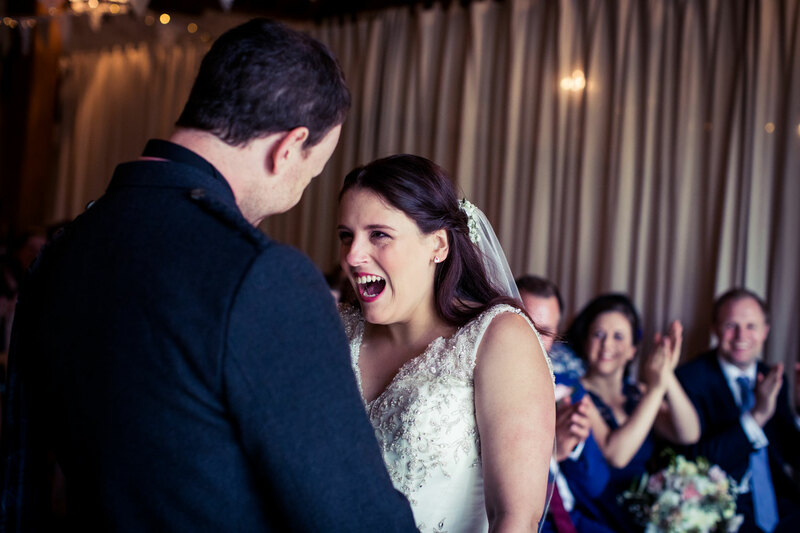 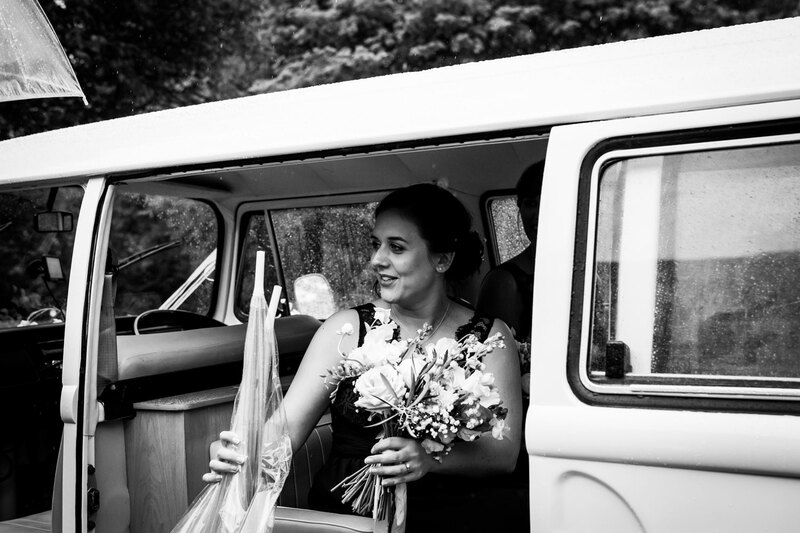 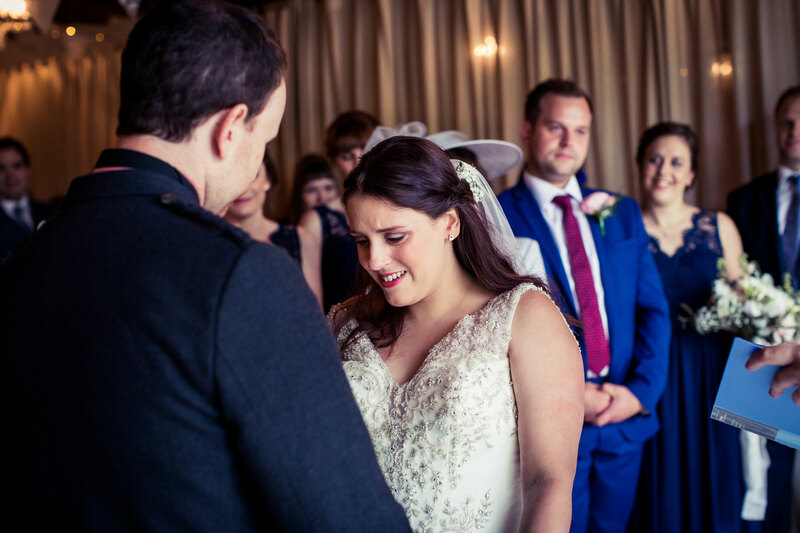 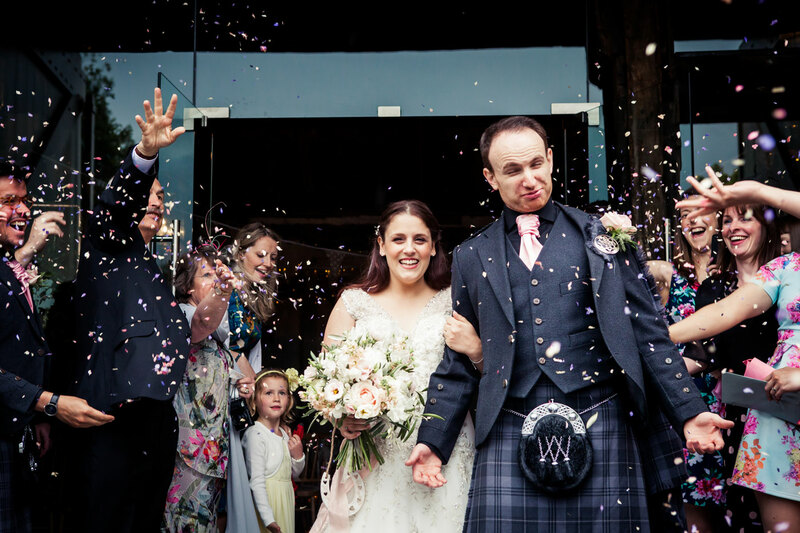 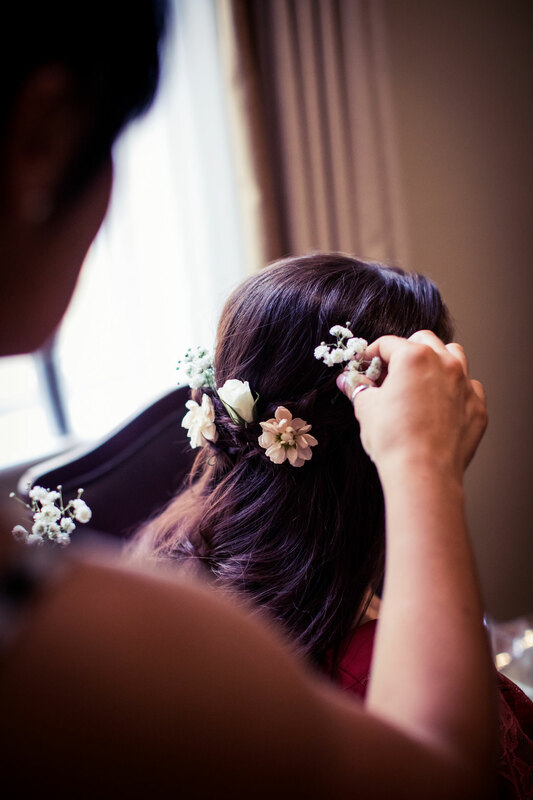 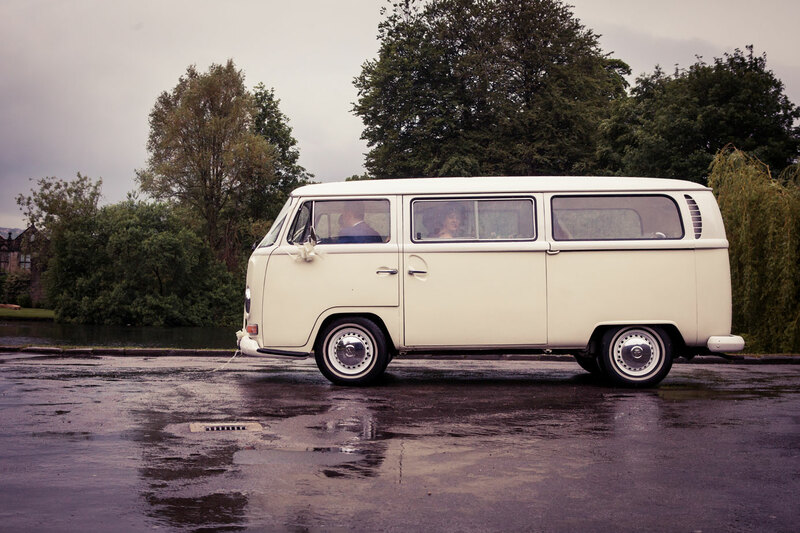 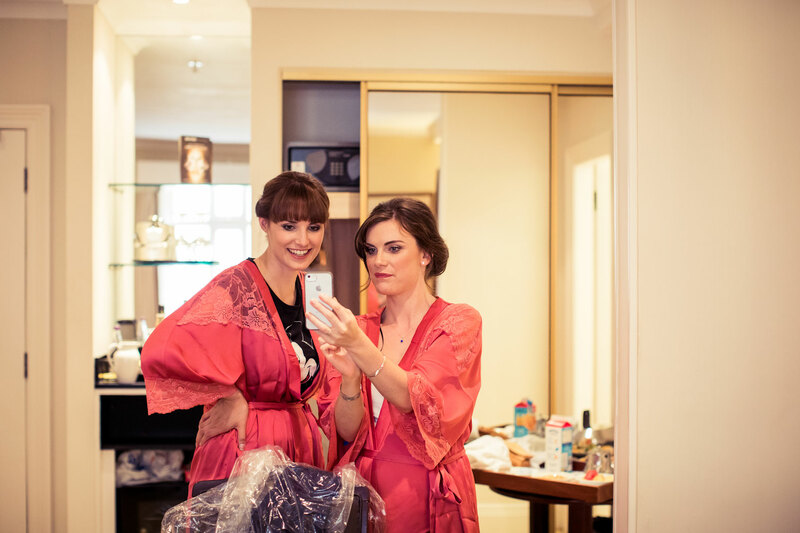 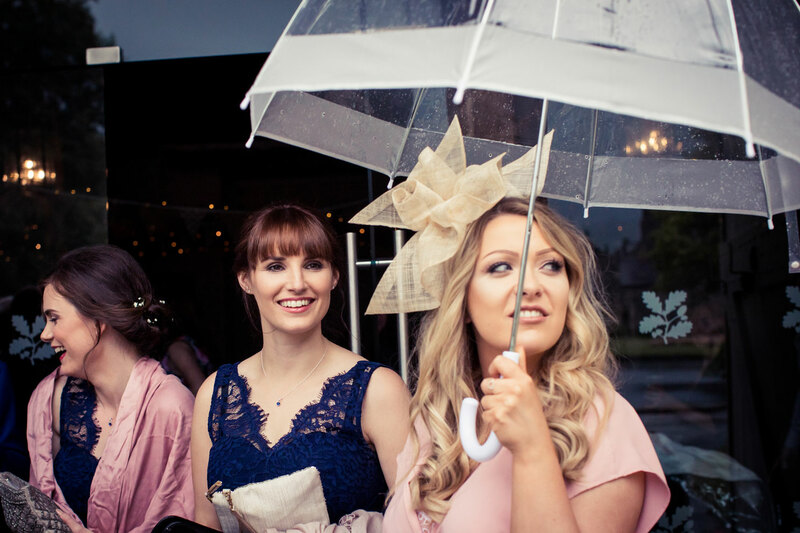 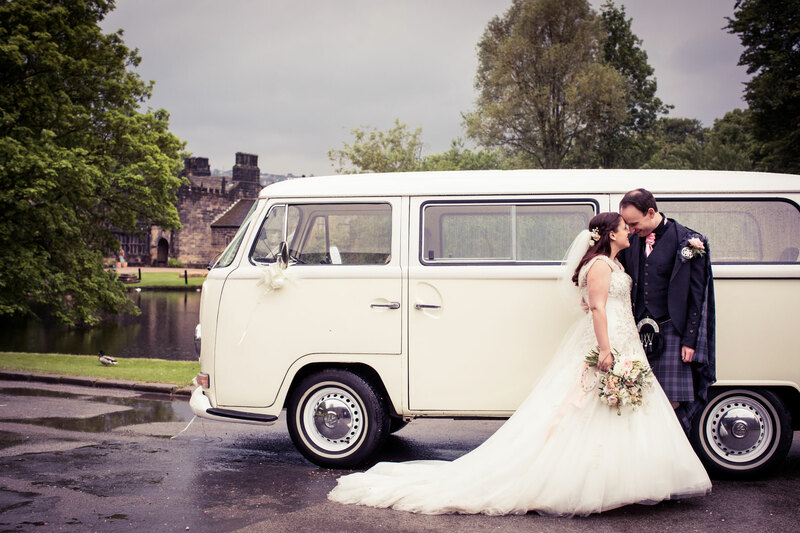 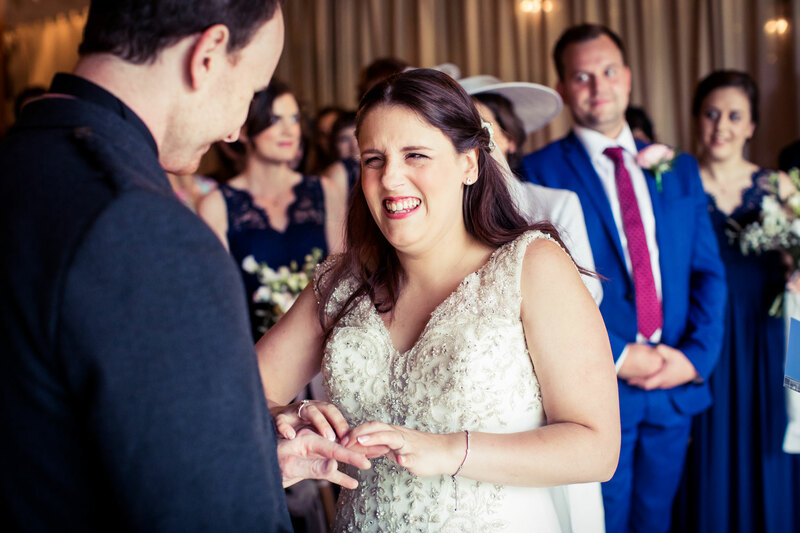 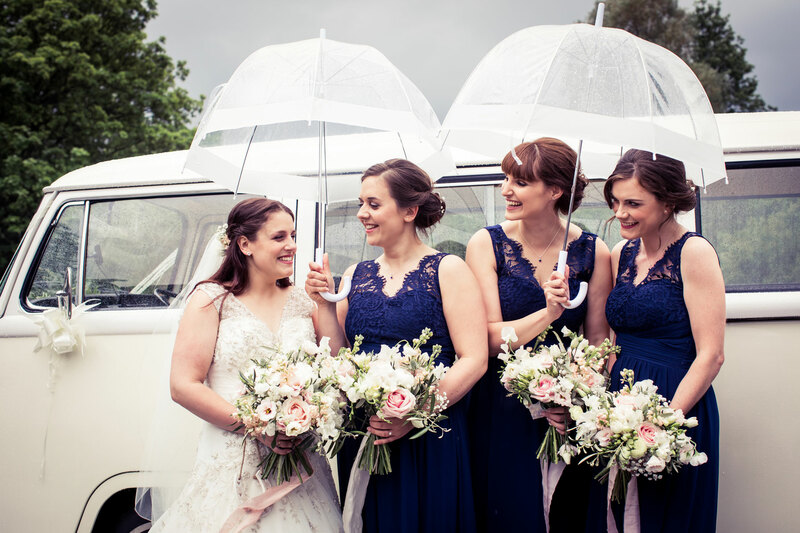 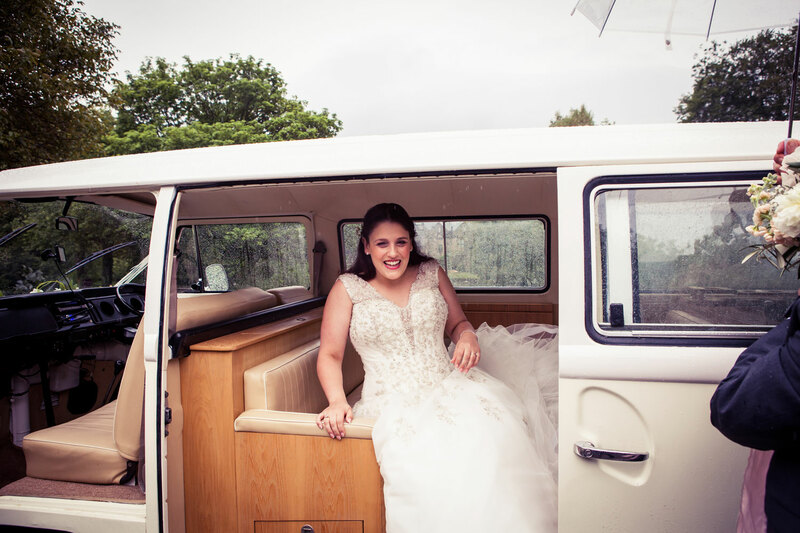 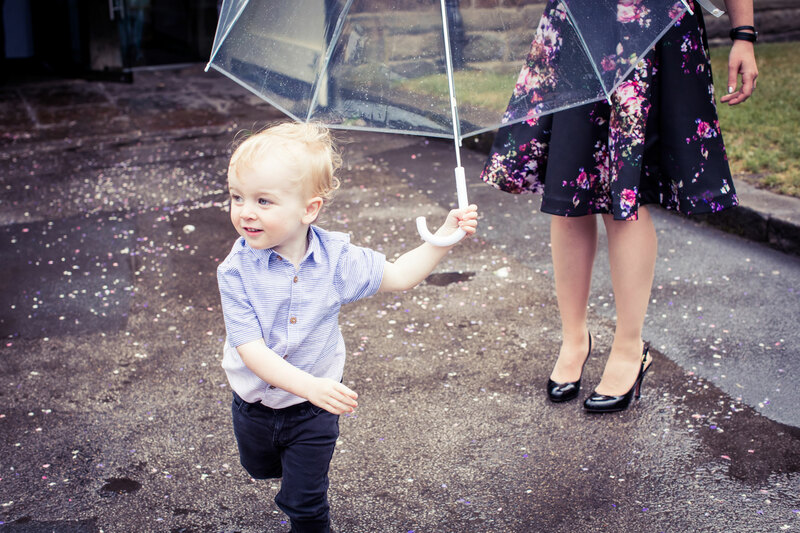 So whilst you think that rain might potentially spoil a wedding day, you can see that we didn’t let it stop the photography and embracing it was the best possible thing to do. 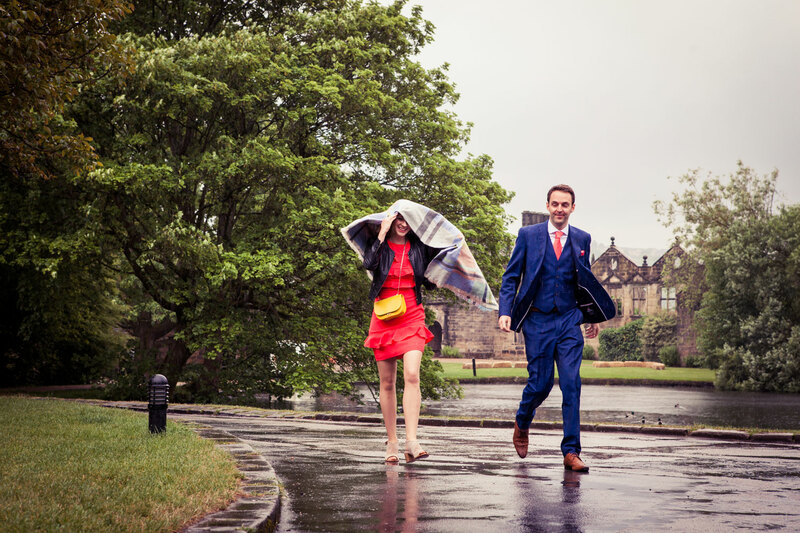 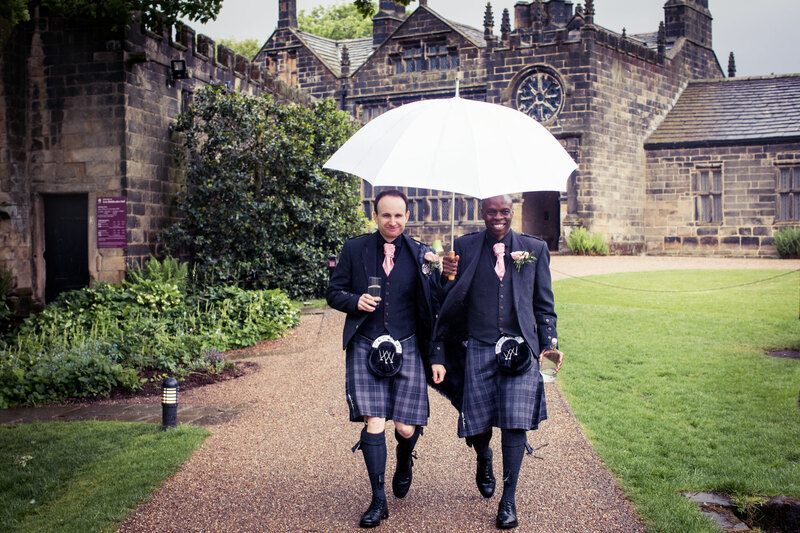 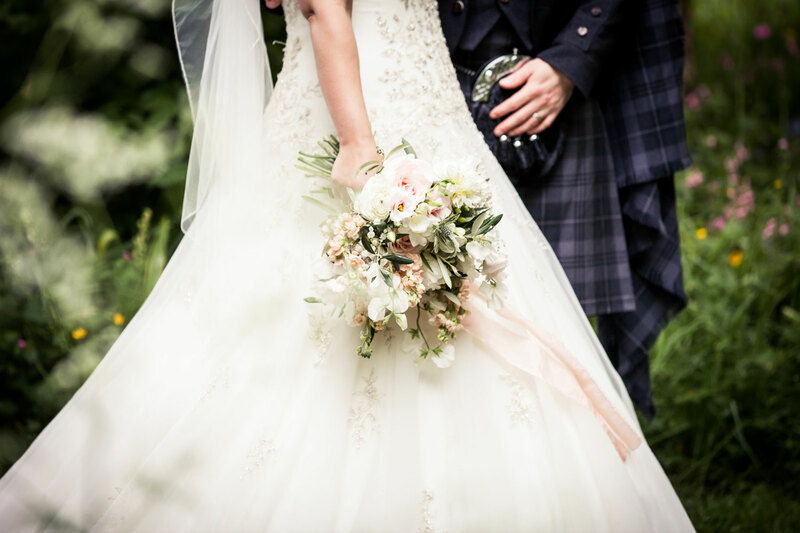 One little piece of advice for brides and grooms to be at any time of the year in the UK is to “be prepared” Having brollies to hand and extra footwear if needed will really help your photography and make for some atmospheric shots too! 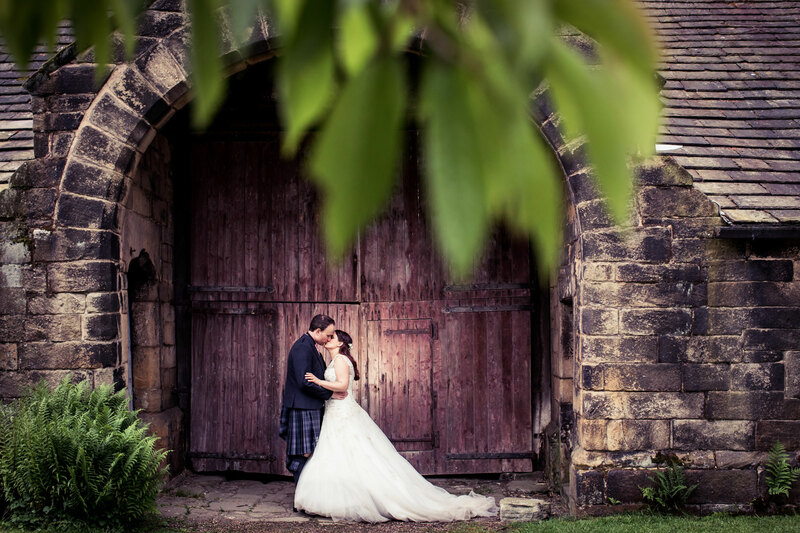 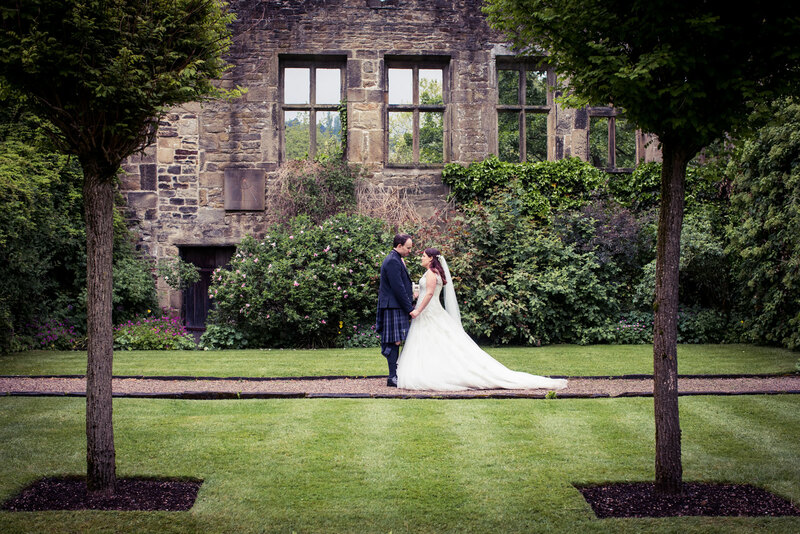 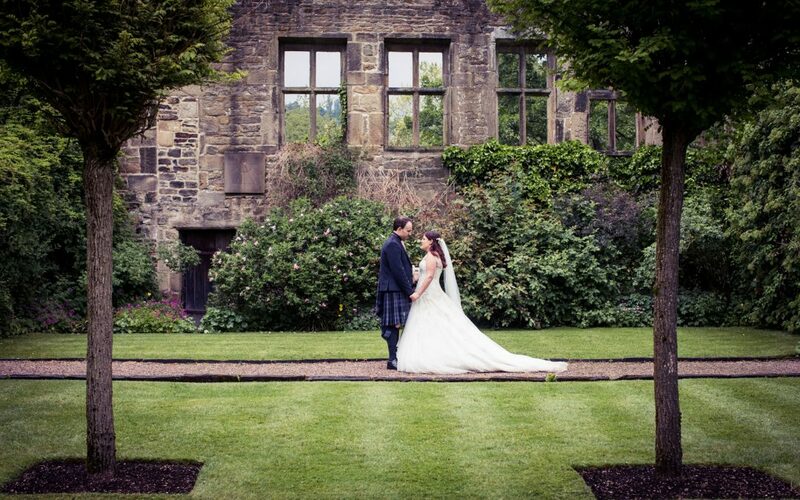 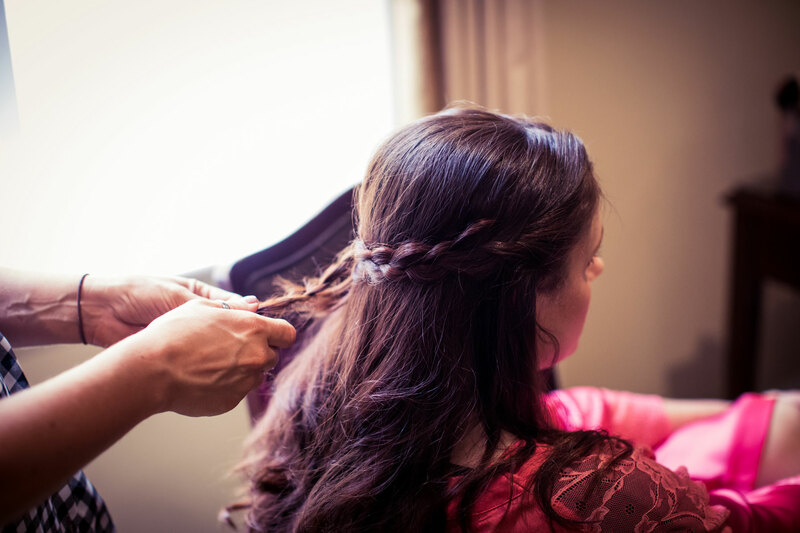 If you’re looking for a wedding photographer at East Riddlesden Hall, I would love to hear from you. 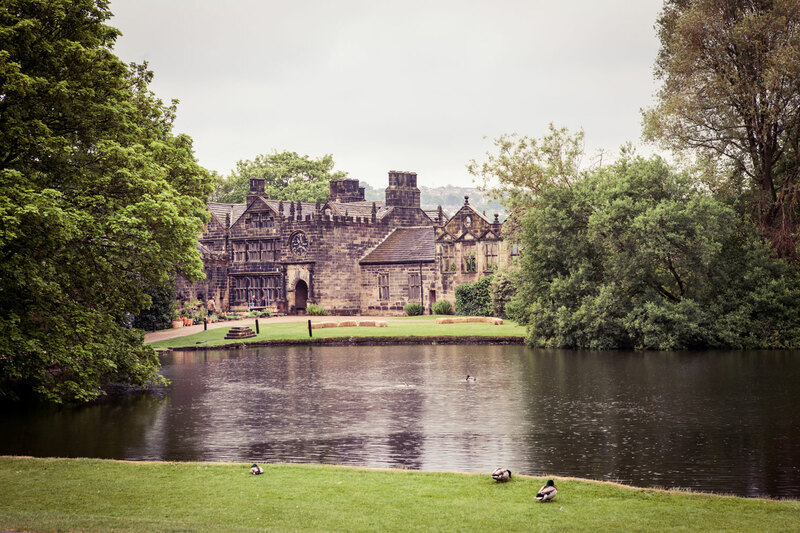 It is one of my very favourite places. 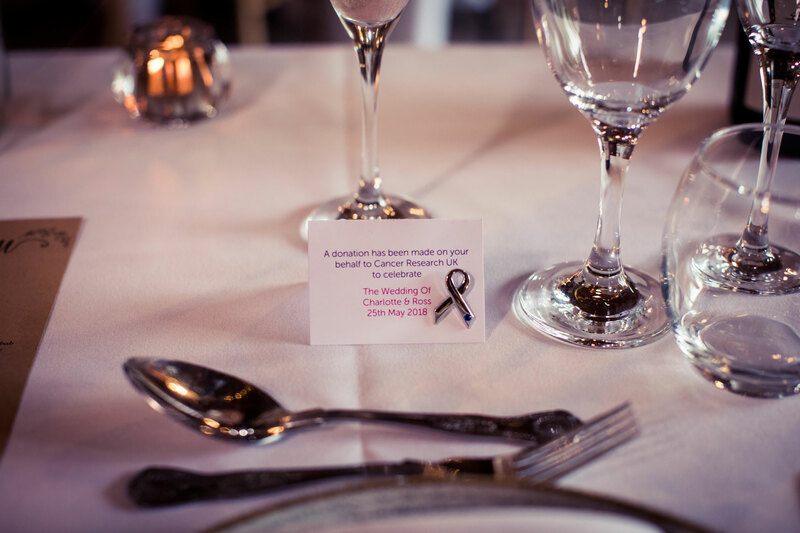 That’s much appreciated Caroline thank you! 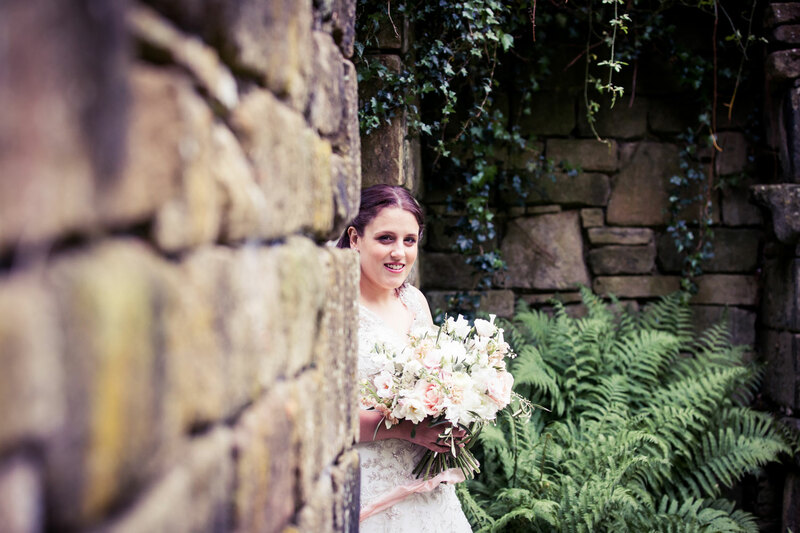 Very lovely post Katherine thank you! 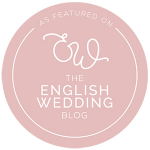 It is nice to follow your work on social media and every once in while get a little welcome surprise when I notice you’ve posted something about us! 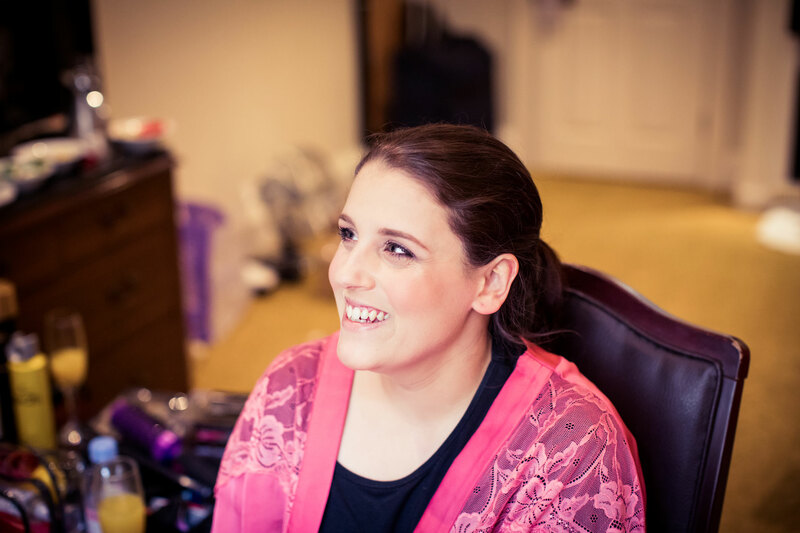 I hope I’ve said this lots of times and many more to follow, but you did such an amazing job thank you ever so much! 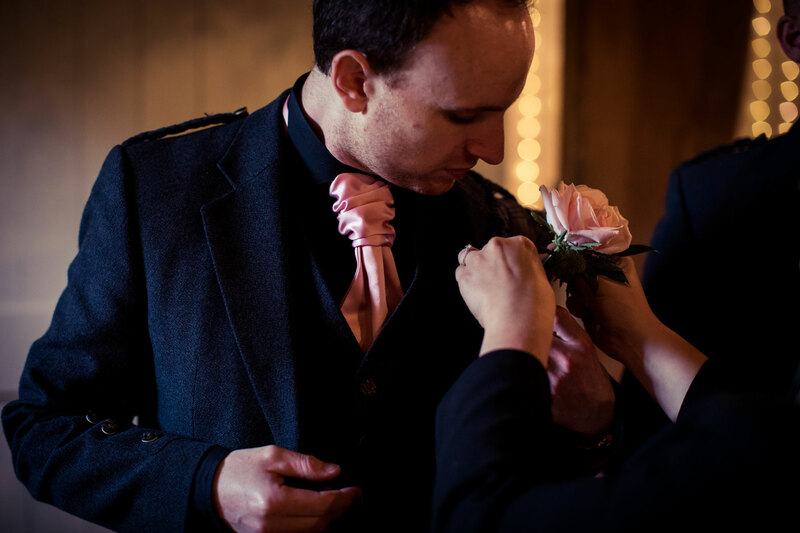 So kind of you to comment Ross and a much appreciated reaction, thank you.